What is an automobile injury? Automobile injuries refer specifically to injuries sustained from a traffic accident. A traffic accident may alternatively be referred to as a traffic collision, vehicular accident, road collision, car wreck, among others. This occurs when a vehicle collides with another object, usually another vehicle, a pedestrian, an animal, and stationary objects such as trees and telephone poles. There is no single direct cause that traffic collisions can be attributed to, however these can include the road design, the road environment, driver’s skill and/or sobriety, driver behavior and regard for traffic rules, vehicle speed and design, among others. Traffic injuries are a common cause of deaths worldwide, and accidents have been known to cause injuries, disability, damage to lives and property, as well as vehicular damage. How are traffic accidents classified? Accidents are classified by general type, and each type would be associated with risks for particular injuries. 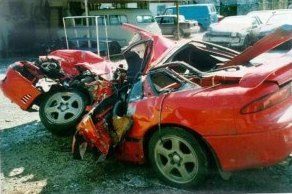 The classification of collisions include: head-on, rear-end, side collision, rollover, and road departure. The manner of the collision will affect the particular injuries received by the occupants of the vehicle. Automobile injuries are caused by the violent forces absorbed by the body during the collision. The sudden change in motion causes the body to be flung around, and if no seatbelt is worn, then the passenger may be thrown around the vehicle interior upon impact. This may cause fractures, bruises and even internal bleeding. There is also the possibility of injury from direct impact. 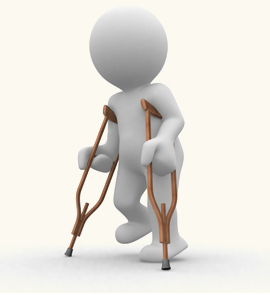 Not all injuries from an automobile accident will be observable. For example, clothes may hide bruises and hematomas. Internal bleeding may not be easily detected, and traumatic brain injuries may be missed by the initial neurologic examination until they manifest later on. It is therefore important for all survivors of an automobile accident be examined and observed by a physician. Common injuries in automobile accidents include fractures, bruises and hematomas, muscle sprain and strain (in particular, whiplash injury of the neck), internal bleeding, and brain injury. What should be done after an automobile accident for your injuries? If you find yourself in an automobile accident, you should seek medical attention immediately. Emergency services should be notified immediately for rapid response of the emergency medical team (EMT). Ideally, the EMT should arrive with the ambulance within a few minutes after the call. What treatment is received at the hospital? 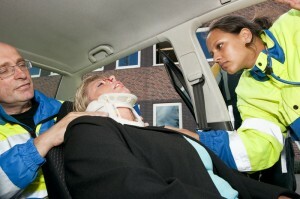 People involved in automobile collisions are normally brought to the emergency room. A rapid assessment of the patient’s status is done, and the case is classified according to the severity and immediacy of the need for treatment. This is done by the emergency room officer or the triage officer present. Rapid assessment will follow, and additional studies (including laboratory examinations, ancillary imaging studies such as X-rays and CT scans) may be requested, depending on the particular circumstances of the collision. Pain medications will not be immediately given at the emergency room. The presence or absence of pain is an important diagnostic tool for emergency room physicians. Once the extent of injuries has been established following a complete physical examination, pain treatment may be initiated. This is usually done through analgesics, which can range from oral non-steroidal anti-inflammatory drugs to intravenous opioids. The exact drug used will depend on the severity of the injury, as well as the patient’s tolerance of pain. Treatment interventions will depend on the injuries assessed by the emergency room physician. Fractures can be treated with splints and casts as necessary. Referrals to the appropriate co-managing specialties will be made: orthopedic surgeons may assist in the management of the patient if fractures are present. Minor complaints, such as muscle pain and inflammation, are normally treated with conservative measures. Personal injury pain management doctors are most commonly involved to help handle resulting sprains, strains, whiplash, disc injuries and more. This may entail medical or interventional pain management to prevent acute pain from becoming chronic. Make sure to seek an auto accident doctor in Phoenix who is not only Board Certified such as at Arizona IMA, but also accepts personal injury claims.